Review: I read this book from start to finish in one sitting and so I felt like I really went on Beck's journey with him. This books really does give you all the feels. The synopsis describes it as dark but ultimately hopeful and I really agree with both of those aspects. There are definitely some trigger warnings concerning domestic abuse here as well as issues with food, but ultimately this tale is definitely hopeful and this book left me wanting more. I didn't cry in the end but I am still thinking about it 5 days later. I really like the fact that this book was written such that we live through Beck's experience with him, we get to see things through his eyes and find out how he is feels after very session playing, or sessions away from the piano, at school or around other people. There was so much that I didn't even think about in terms of the mental affects of being forced into competitive piano playing. There's also the fact that he has such love for his family at the same time as wanting to live a life for himself. He is an incredibly selfless character and so you will have sympathy with him. 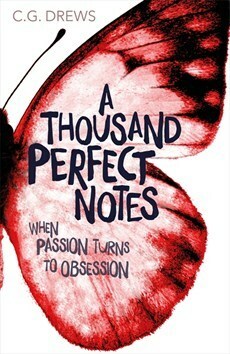 I really enjoyed the musical aspect of this novel. Despite the fact that the piano is such an instrument of torture for Beck, the music talked about in the novel is really beautiful and interesting and you can tell that these characters, as well as the novelist have a passion for it. The issues of friendship and other relationships is also explored really thoroughly in this book. Beck's struggle to form friendships and then his reluctance to accept friendship is really interesting to read about. The people who come into his life over the course of the novel also provide for some interesting moments. I really liked the fact that Beck has such a loyalty to his family and it really blew my mind a little to see him have so much love for them but fear at the same time. I also enjoyed the fact that this book was set somewhere a little different from my usual reads. Even though Beck isn't out and about very often and specific places are not mentioned, I could feel that things were different as I was reading about his walks to and form school and his journeys to give his performances. I would definitely say that this book is one for older readers, just because of its dark content but it is definitely a read that will make you think and leave you wanting more, so if that is something you are looking for then I definitely recommend giving this a read!